There's really nothing about Google Music that makes it vastly superior to its two big rivals, and if you think quantity of storage space or default 320Kbps streaming are "reasons," you're probably out of touch with the average consumer. With services like Spotify, a lot of people are betting on a world in which we pay for access to a library of content on a monthly basis, but I think "owning" music is a concept that's here to stay. I'm glad Google veered away from a subscription service model and stuck with the more traditional approach to selling music a la carte instead of buffet style, and it had to be that way to make what I'm about to discuss work. Google Music doesn't do anything particularly worse or better for consumers than Amazon MP3 (aside from the whole lack of Warner tracks), and there's no "killer feature" distinguishing it from iTunes. But there's one thing that Google Music does do a lot better for artists than either of those music stores: pay them. Now, you may not be aware of this, but neither Amazon MP3 or iTunes allow artists to freely upload music for sale on their respective stores. You need a middleman, called an "aggregator." These aggregators charge about 10 cents on the dollar for each track sold, and also charge for each album they host and upload to the respective music stores. Plainly, Google Music is the cheapest way to sell your music online. You also get access to millions of Android smartphone and tablet users in the US. This is awesome for new or small audience artists. The problem that Amazon MP3 and iTunes pose for many new artists is that they're innately geared to host album-length content unless you're already an established presence in the music business. If you don't have a full album, you're probably not going to shell out $10 to an aggregator for every track you produce - it's stupid. Fledgling artists can produce dozens of tracks in the search for a hit, and if these songs don't sell, the aggregator fees are wasted money. Google eschews the notion that you should pay more for producing less. $25 for everyone, no matter what, period. With a growing number of part-time artists out there producing music singles by themselves (like those in the increasingly popular Dubstep genre), selling music online can be a cost-ineffective endeavor, and might even discourage some artists from trying to sell their music at all. While aggregators do charge just one fee for placing music into most major MP3 stores and take no rights to your music, Google Music gives artists total control over pricing as well, which means that artists who focus on producing singles can charge a little more for tracks if they feel the cost is warranted by the length or quality of the song - or they can charge less to encourage sales. Google Music is a storefront that already has a massive audience through the Android Market - it's going to be on every Android device from here on out. Artists won't ignore that, particularly as Android is the US's number one smartphone OS. Google Music's Artist Hub gives artists control over their music and access to an audience in a way that no other major MP3 store or music service out there right now does, much like YouTube gave amateur filmmakers the opportunity to interface directly with viewers without needing a distribution deal (the profit sharing model there has given them a chance to make money on those productions, too). 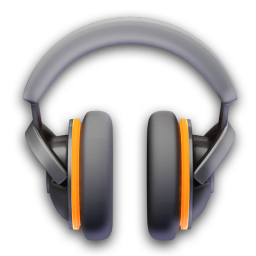 Google Music doesn't do anything revolutionary with your music - but it could quickly become a revolution in music.